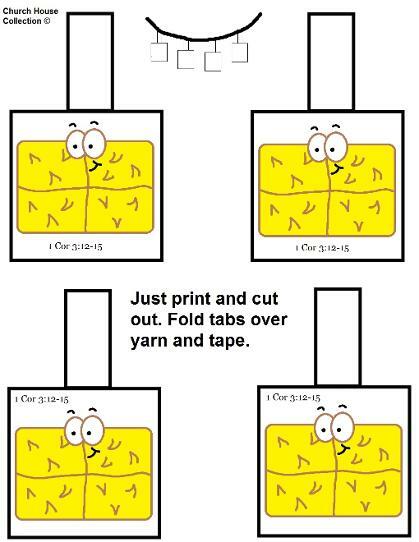 This is a free printable hay bale necklace for kids to cut out and fold the tabs over on a piece of string or yarn and tape down. This comes with and without a scripture on it. 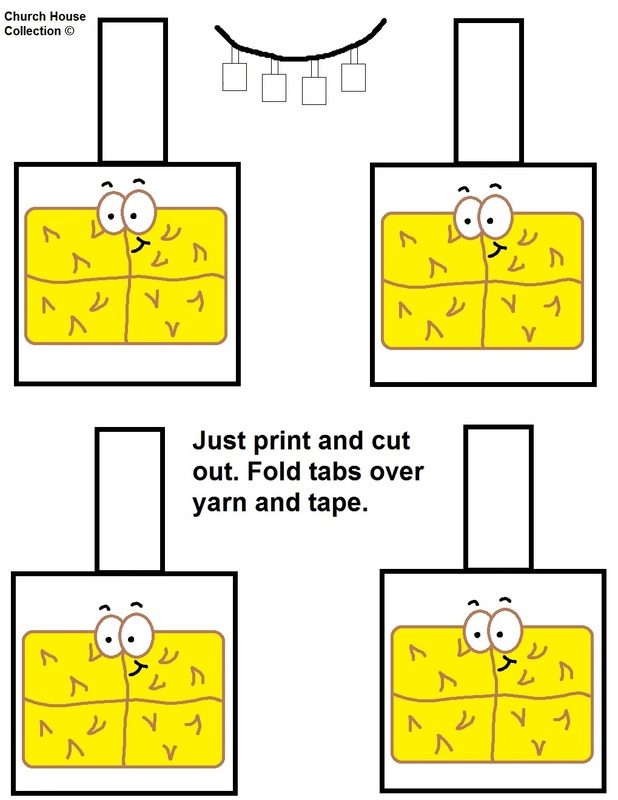 This craft actually goes with our matching lesson plan, "Hay Sunday School Lesson". Check out all our Fall Sunday school lessons or go back to Fall Crafts.